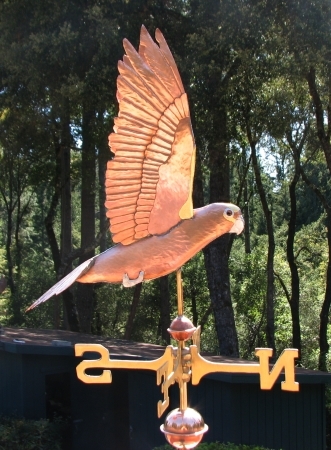 Our Blue Front Amazon Parrot Weathervane was first commissioned to commemorate a beloved parrot friend of our customer. 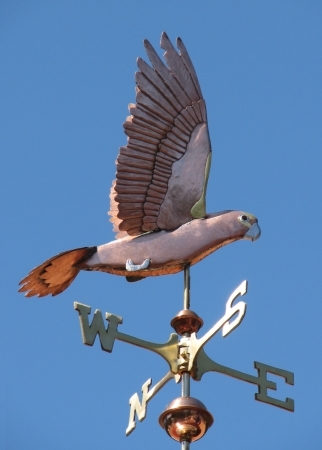 Parrots have long lives and make great bonds. They bring such humor to their families with their imitations and joking around. 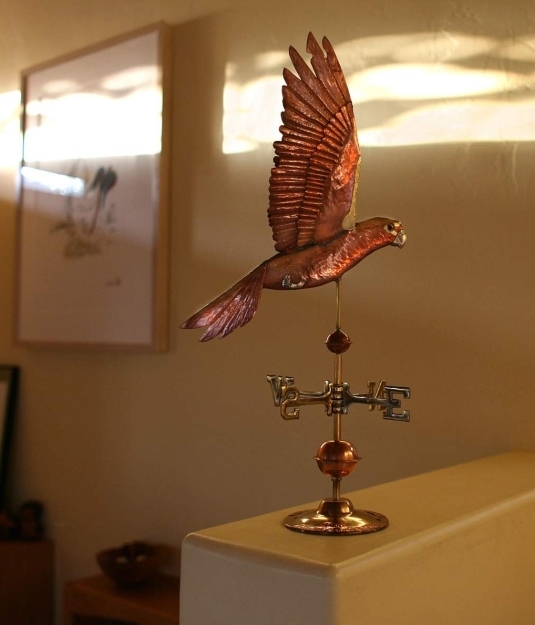 This copper representation was fabricated in the small size with the intention of being mounted indoors. 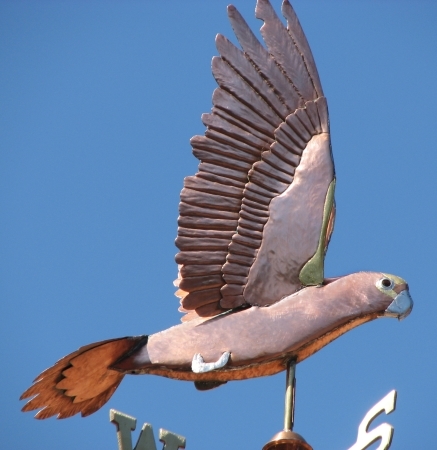 Because of the indoor location we omitted the standard security device that is included in all of our ‘winged’ designs. Be it butterfly or bi-plane, if it is winged and out in the wind, the risk exists of it being lifted up and taking flight. 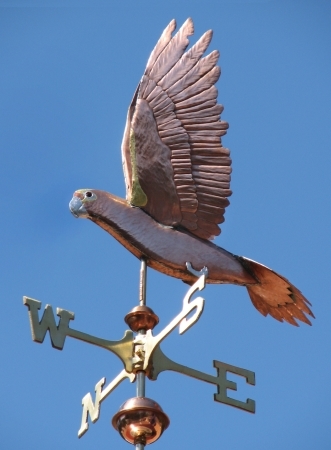 For this version of the Amazon Parrot Vane our customer selected an all copper body with an eye to the future when the copper will eventually patina into the green tones. 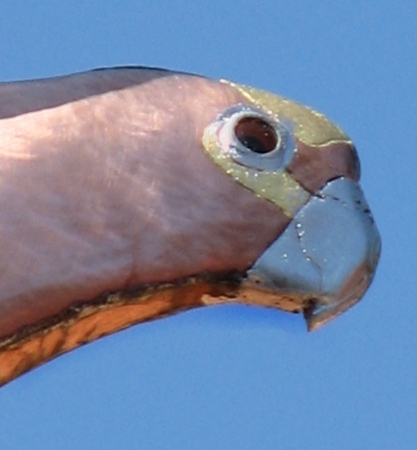 They selected red glass eyes, and optional palladium gilding on the feet and beak, with gold gilding to demarcate this parrot’s yellow face mask. These are decisions that you make at the time of your order, enabling our master artisans to create a sculpture piece that speaks to you. 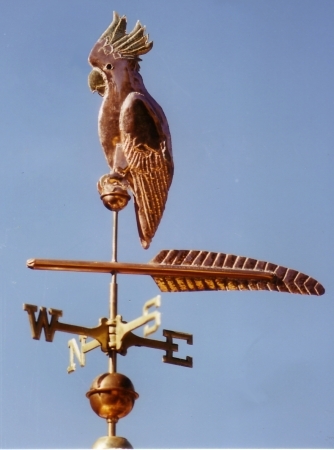 You can also send us a picture of your parrot for us to go further into the nuances of making this vane into a portrait of your bird. 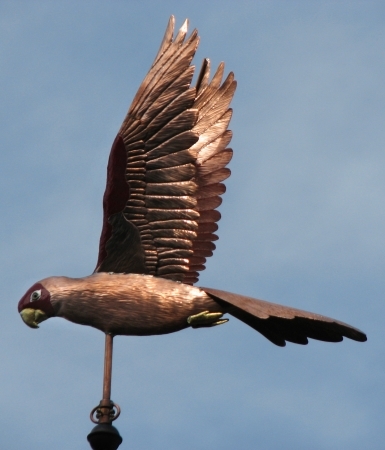 If Parrots are an interest of yours we do have others, and we would be happy to discuss a parrot design you have in mind.